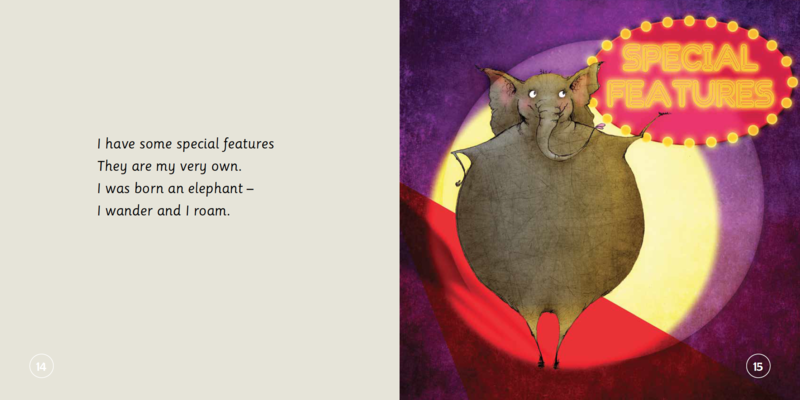 Products / THE ELEPHANT WHO TRIED TO TIPTOE, Reminding children to love the body they have. 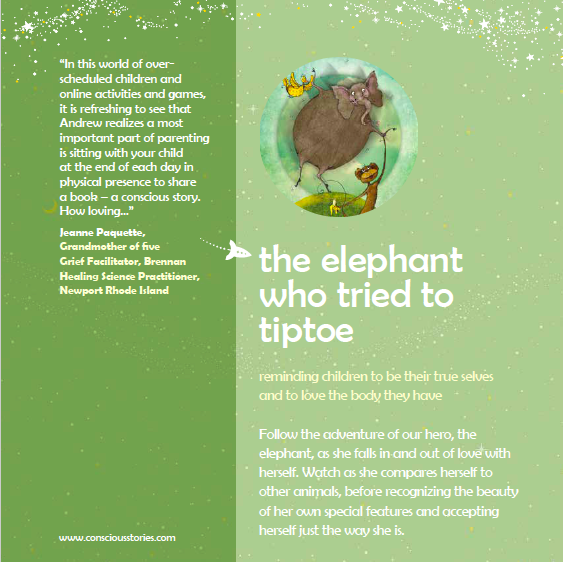 THE ELEPHANT WHO TRIED TO TIPTOE, Reminding children to love the body they have. Book of the Year 2018 by Creative Child Magazine. 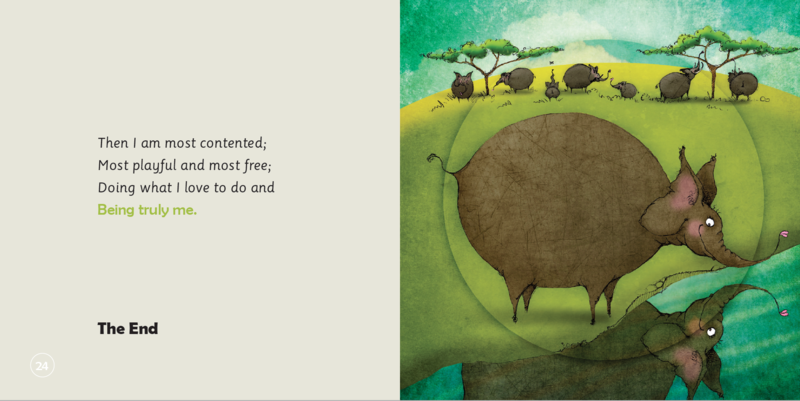 This rhyming bedtime story for ages 3 to 8 follows the adventures of Ellie as she falls in and out of love with herself. 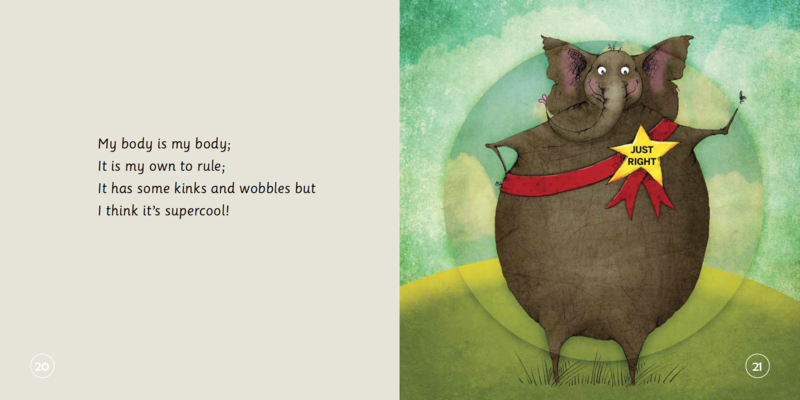 This tale reminds children to be their true self and to love the body they have. 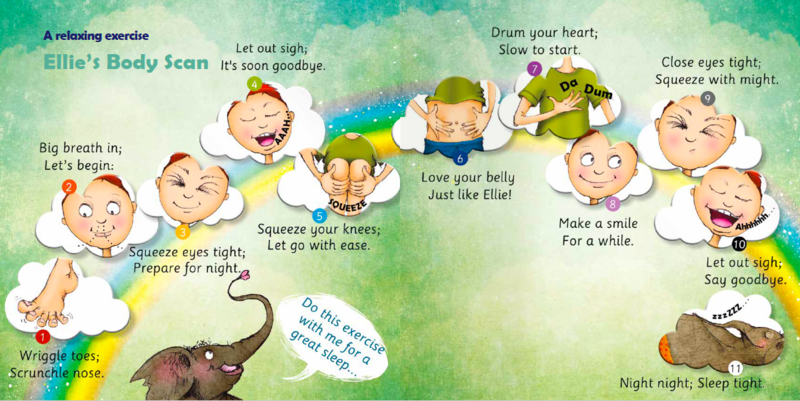 The book ends with Ellie’s Bedtime Body Scan, a progressive relaxation exercise to help children relax, to love and appreciate their own bodies and to fall gently to sleep. This is the BEST SELLING book in the collection. There is something about Ellie that people just fall in love with. 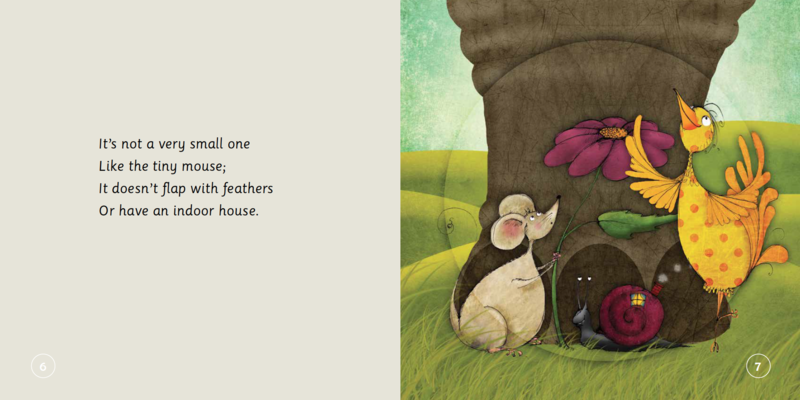 She stretches across age groups, delighting the readers. FREE SHIPPING IN MAINLAND USA FOR ORDERS OVER $20 OR $4.99 FOR ONE BOOK. 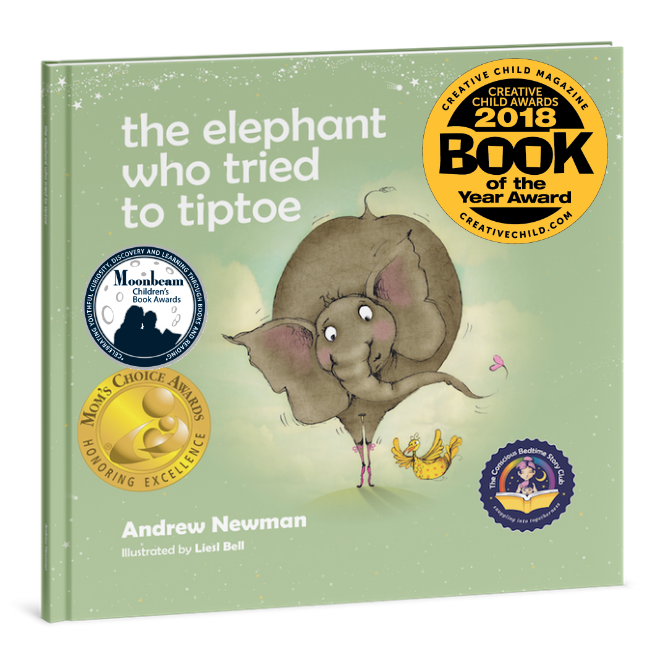 We are excited to announce that The Elephant Who Tried to Tiptoe has been named Book of the Year 2018 by Creative Child Magazine. 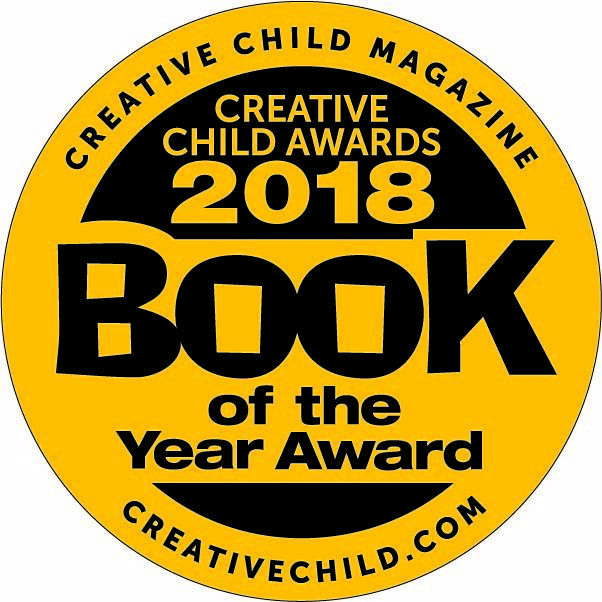 Creative Child Magazine's Awards Program is unique in that all products submitted are reviewed by more than 60 moms, educators and early education professionals. 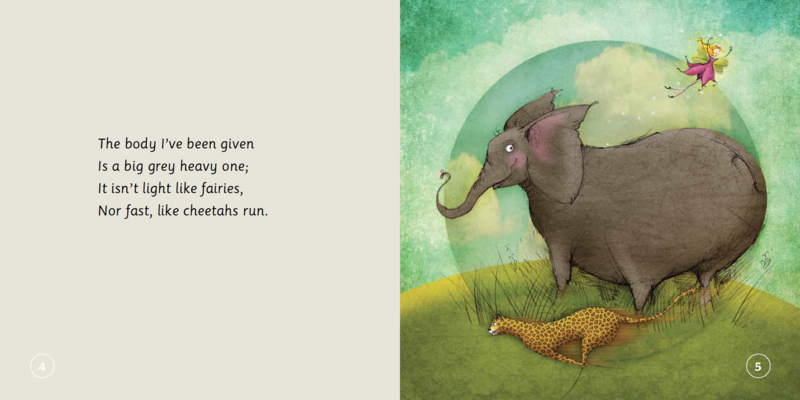 The Elephant Who Tried to Tiptoe is a part of the Conscious Bedtime Stories collection.